Supermarket multi-buys and special offers are driving the obesity crisis, experts have warned. The discounts and deals boost the amount of junk food consumers buy while cutting their purchases of fruit and vegetables, they said. Nearly a third of the food and drink in trolleys is bought under various promotions such as buy-one-get-one-free, according to a study of the shopping habits of more than 16,000 people. It found that consumers who buy the most food this way are 54 per cent more likely to be obese than those who shun promotions. Shoppers who opt for lots of special offers also buy a fifth more unhealthy food and drink, regarded as being high in fat, sugar or salt. The research by Cancer Research UK found that a promotion-loving family with two adults and two children buys an extra 11 unhealthy items per month. Bargain-lovers also buy more sugary items and fewer with fibre than low promotional shoppers. Consumers who favour deals choose nearly a third fewer fruit products and a quarter fewer vegetables, items which are usually not on promotion. The report found that nearly half of chocolate, crisps, popcorn and savoury snacks bought in supermarkets have been discounted or promoted in some way. Income did not affect how many promotions consumers bought with similar trends seen across all demographic groups. ‘High promotional shoppers buy more from typically less healthy food categories like cakes, confectionery, crisps, sugary drinks and puddings,’ said the report. Being overweight or obese is linked to 13 types of cancer, including breast and bowel, and is the second leading preventable cause of the disease after smoking. These problems are a factor in around 6 per cent of cancer cases in the UK and are predicted to overtake smoking as the leading cause of the disease in women in around 25 years. ‘Promotional items offer people a wealth of tempting yet unhealthy food and drink choices,’ said Professor Linda Bauld, Cancer Research UK’s prevention expert. ‘With cut-price deals on things like chocolate, biscuits, cakes and fizzy drinks, it’s no surprise that people who buy more on promotion have a greater likelihood of being obese. 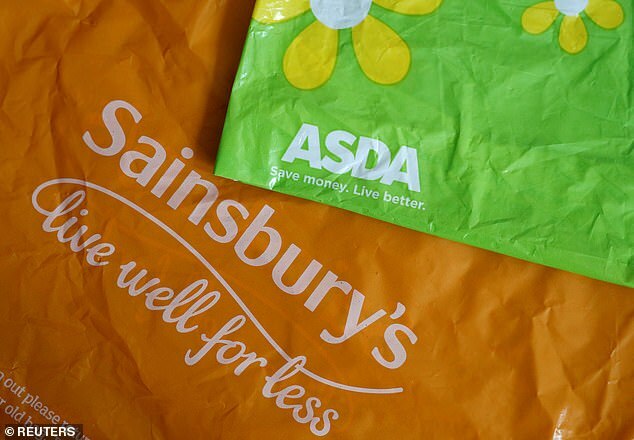 The Government is consulting on plans to reduce supermarkets’ power to promote junk food. Proposals including banning displays of sweets at checkouts and banning buy-one-get-one-free and multi-buy deals. Ministers also want to ban junk food adverts on television and online before 9pm. Tim Rycroft, of the Food and Drink Federation, said the plans were ‘insulting’ when the Government wanted firms to prioritise planning for a No Deal Brexit. ‘Food and drink companies are battling to ensure the nation is fed,’ he said last week.